An environmentally safe, biodegradable, PH-neutral, water-based, general purpose motorcycle wash which will cut through dead insects, traffic film, general road-crud, light grease and oil contamination and even most brake dust deposits with ease. 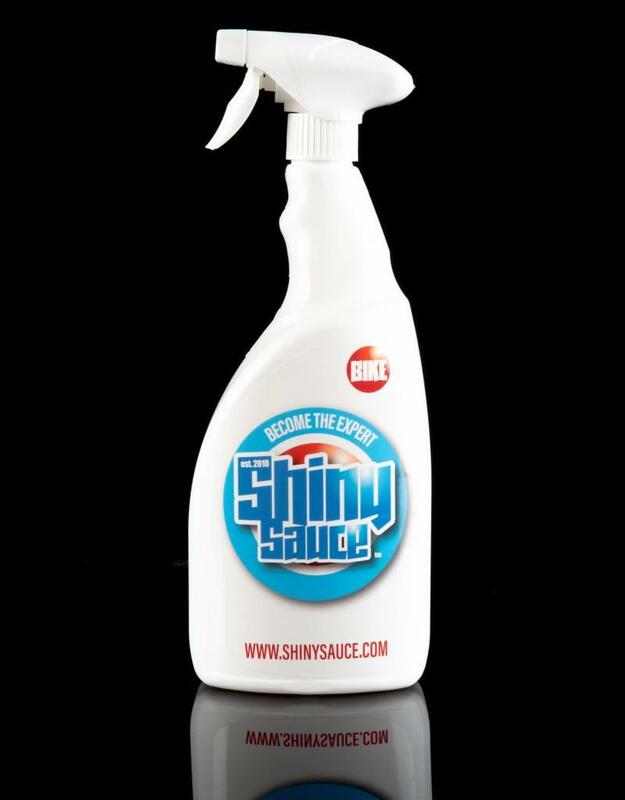 Packaged in a robust recyclable bottle with a top quality trigger spray head forming a ‘pistol grip’ that’s comfortable to hold and has no corners or seams to dig into your hands as you use it. Originally developed exclusively for Shiny Bike Syndrome's motorcycle valeting service, now available to everyone. Made in the UK.